On August 27, 1770, German theological philosopher Georg Friedrich Wilhelm Hegel was born, who is counted as the creator of German idealism. For many historians, Hegel is “perhaps the greatest of the German idealist philosophers.” In 1847 the London Communist League including Karl Marx and Friedrich Engels used Hegel’s theory of the dialectic to back up their economic theory of communism. Now, in the 21st century, Hegelian-Marxist thinking affects our entire social and political structure. Hegel was born in Stuttgart nd grew up in a Pietist home. His father Georg Ludwig (1733-1799), born in Tübingen, wasRentkammersekretär (secretary to the revenue office) at the court of Karl Eugen, Duke of Württemberg and came from a family of civil servants and pastors. Hegel’s mother, Maria Magdalena Louisa Hegel (née Fromm, 1741-1783), came from a wealthy family in Stuttgart. When Hegel was eleven his mother died of a “bilious fever” (Gallenfieber) while he and his father who also caught the disease narrowly survived. At the age of three Hegel went to the “German School”. When he entered the “Latin School” aged five, he already knew the first declension, having been taught by his mother. In 1776 Hegel entered Stuttgart’s Gymnasium Illustre. During his adolescence Hegel read voraciously, copying lengthy extracts in his diary. Authors he read include the poet Friedrich Gottlieb Klopstock and writers associated with the Enlightenment such as Gotthold Ephraim Lessing. After Hegel had left the university, he was employed as a tutor in Bern in 1793, where he was to give private lessons to the children of Captain Karl Friedrich von Steiger. The comparatively liberal ideas of the Steigers fell on fertile ground at Hegel. 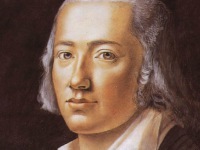 The Steigers also introduced Hegel to the social and political situation in Bern at the time. Hegel spent the summers with the Steigers at their winery in Tschugg near Erlach, where he had access to the private library of the Steigers. He studied there the works of Montesquieu (Esprit des Lois), Hugo Grotius, Thomas Hobbes, David Hume, Gottfried Wilhelm Leibniz, John Locke, Niccolò Machiavelli, Jean-Jacques Rousseau, Anthony Ashley-Cooper, 3rd Earl of Shaftesbury, Baruch Spinoza, Thukydides and Voltaire. Hegel thus laid the foundation for his broad knowledge in philosophy, social sciences, politics, economics and political economy during his Bernese period. 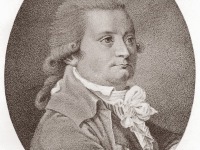 At the end of his contract in Bern, Hölderlin, now in Frankfurt, acquired a position as a tutor for his friend Hegel in the family of Johann Noe Gogel, a wine wholesaler in the centre of Frankfurt. Hegel continued his studies of economics and politics in Frankfurt; he dealt with Edward Gibbon‘s Decline and Fall of the Roman Empire, with writings by Hume and Montesquieus The Spirit of Laws. Hegel became interested in questions of economy and daily politics. It was mainly the developments in Great Britain that he followed through regular reading of the English newspapers. When his father died in January 1799, Hegel received a modest inheritance that enabled him to return to an academic career. In January 1801 Hegel reached Jena, which at that time was strongly influenced by Schelling’s philosophy. Together with Schelling, Hegel published the Critical Journal of Philosophy in 1802-1803. The topic of the doctoral thesis (“Habilitation Dissection”), through which Hegel qualified for the position as a private lecturer (dissertation Philosophica De orbitis planetarum, 1801), was chosen under the influence of Schelling’s natural philosophy. In this work Hegel mainly deals with the laws of planetary motion by Johannes Kepler and the celestial mechanics of Isaac Newton. Hegel’s first Jena lecture on “Logic and Metaphysics” in the winter of 1801/1802 was attended by eleven students. After Schelling had left Jena in the middle of 1803 for Würzburg, Hegel now worked out his own views. Besides philosophical studies of Plato and Aristotle, he read Homer and Greek tragedies, made excerpts from books, attended lectures on physiology and dealt with mineralogy and other natural sciences. From 1804 Hegel lectured on his theoretical ideas to a class of about thirty students. In addition, he lectured on mathematics. As he taught, he constantly improved his original system. Every year he promised his students his own textbook of philosophy – which was repeatedly postponed. After recommendation by Johann Wolfgang Goethe and Schelling, Hegel was appointed extraordinary professor in February 1805. In October 1806 Hegel had just written down the last pages of his Phenomenology of the Spirit, when the harbingers of the battles of Jena and Auerstedt reared. He moved to Bamberg and became editor of the Bamberger Zeitung. In November 1808 Hegel was appointed professor of preparatory sciences and rector of the Egidiengymnasium Nuremberg next to St. Egidien through his friend Friedrich Immanuel Niethammer. Hegel taught philosophy, German, Greek and higher mathematics. In 1816 Hegel accepted a professorship in philosophy at the University of Heidelberg. He gave his inaugural lecture on October 28. The first edition of the Encyclopedia of Philosophical Sciences was published in May 1817. 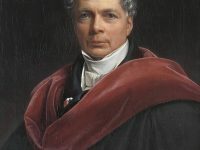 In 1818 Hegel was called to the University of Berlin, whose rector at that time was the theologian Philipp Konrad Marheineke. Here he succeeded Johann Gottlieb Fichte as professor. His lectures quickly became popular and their audience grew far beyond the university environment, as colleagues and civil servants also attended his lectures. In 1821, his last personally produced work Baselines of the Philosophy of Law appeared. Hegel himself became rector of the university in 1829. Georg Friedrich Wilhelm Hegel died on November 14, 1831 caused most probably by a chronic gastric trouble. During his career as a philosopher, Hegel published only four books: the Phenomenology of Spirit, his account of the evolution of consciousness from sense-perception to absolute knowledge, published in 1807; the Science of Logic, the logical and metaphysical core of his philosophy, published between 1811 and 1816; Encyclopedia of the Philosophical Sciences, a summary of his entire philosophical system, published in 1816; and the Elements of the Philosophy of Right, his political philosophy, published in 1822. The French Revolution for Hegel constituted the introduction of real individual political freedom into European societies for the first time in recorded history. But precisely because of its absolute novelty, it is also unlimited with regard to everything that preceded it: on the one hand the upsurge of violence required to carry out the revolution cannot cease to be itself, while on the other, it has already consumed its opponent. The revolution therefore has nowhere to turn but onto its own result: the hard-won freedom is consumed by a brutal Reign of Terror. History, however, progresses by learning from its mistakes: only after and precisely because of this experience can one posit the existence of a constitutional state of free citizens, embodying both the benevolent organizing power of rational government and the revolutionary ideals of freedom and equality. At yovisto academic video search you might learn more about the philosophy of G.W.F. Hegel. 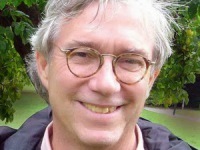 As being a major focus of Prof. Robert Brandom’s work, he makes Hegel’s thought accessible to analytic philosophy by developing a semantic interpretation of the “Phenomenology of Spirit” in his Munich lectures. James Hutchinson Stirling: The Secret of Hegel: Being the Hegelian System in Origin, Principle, Form, and Matter, Longman and Green, London:1865.